In politics, as of today, do you consider yourself a Republican, a Democrat or an independent? (Asked of independents) As of today, do you lean more to the Democratic Party or the Republican Party? 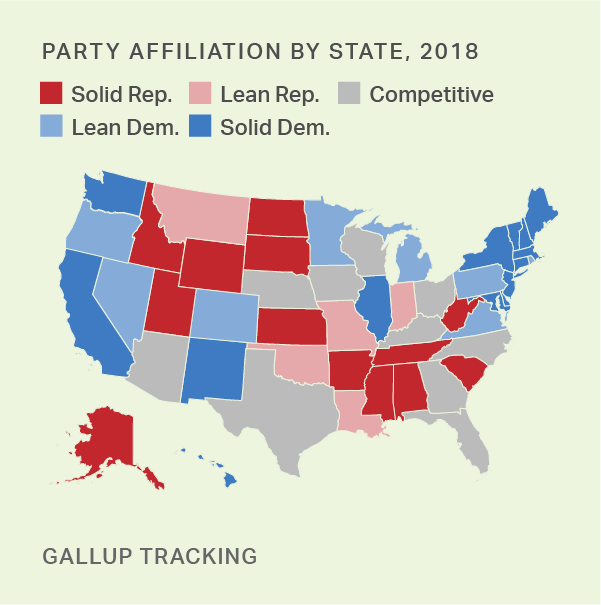 The nation's ideological balance held steady in 2018, with conservatives and moderates each at 35% and liberals remaining at last year's record high, 26%. Forty-two percent of Americans identify politically as independents, the seventh year in the last eight that at least 40% have done so. More continue to identify as Democrats than as Republicans.